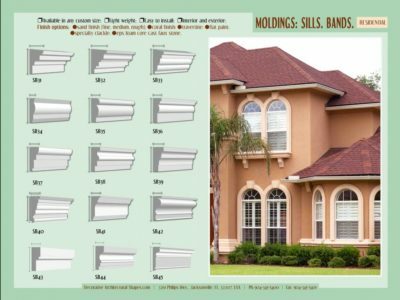 Window sillsand bands can create a beautiful effect to match other architectural enhancements and trim effects on a home or office building. Window shutters are also a common effect to give a new or remodeled home a classic South Florida or Hampton’s architectural look. 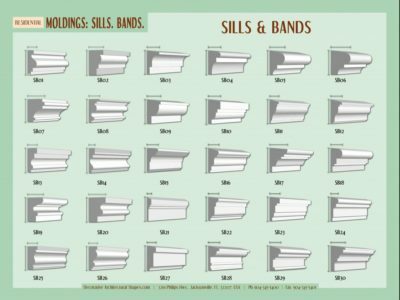 Decorative Architectural Shapes window sillsand bands are excellent decoration for both interior and exterior of a building. They are not only last forever but also are easy to be maintained. 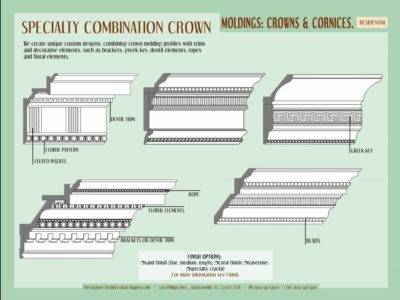 Decorative Architectural Shapes offers classic designs of window sills, bands and frames, custom stone window surrounds and simple stone window trims, available in marble, granite, limestone and sandstone. In interior design, the selection of the right window sill is always a matter of aesthetics. Whether you are looking for a window sill that fits elegantly into the room or one that will boldly accentuate the room’s design, Decorative Architectural Shapes offers you a large selection of shapes and decors as well as dimensions. 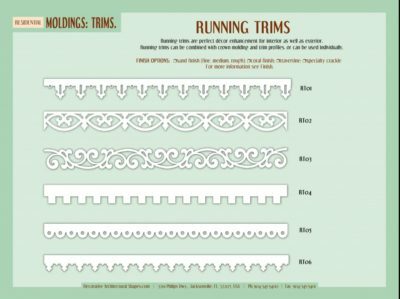 With our huge stock of unique, highly varied trims, Decorative Architectural Shapes is the perfect resource for even your most creative projects. 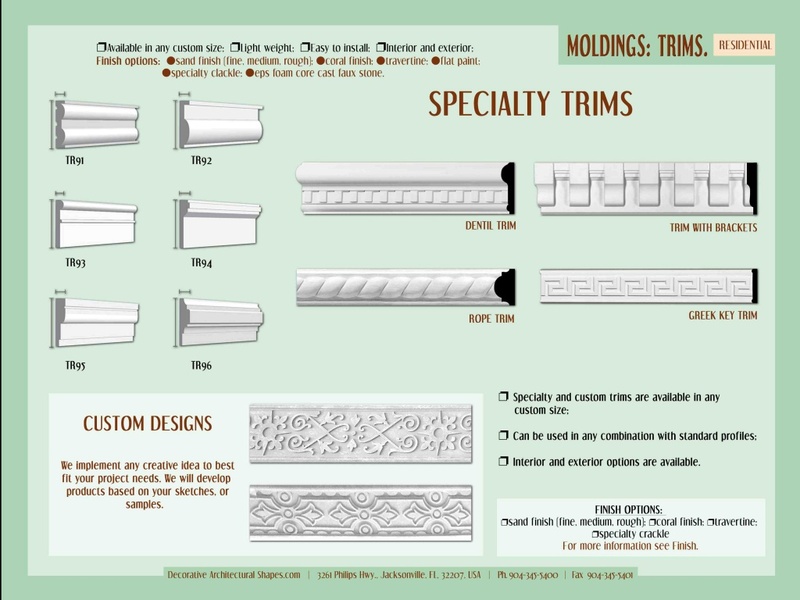 Order the Decorative Architectural Shapes Trim in a shade of white and attach it to a charcoal gray wall. Suddenly, a bare, white corner becomes an inviting and very stylish oasis. 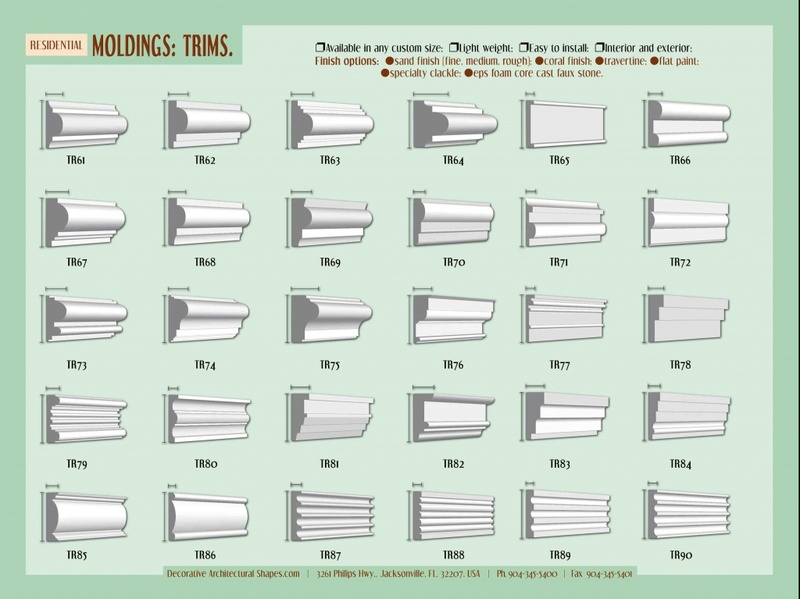 For another stylish moulding idea, rethink size. Trim becomes playful when proportions are unusual and dimensions surprising; large, intricate mouldings can look incredibly charming in small, intimate spaces, such as bathrooms or even hallways. When used creatively, architectural mouldings can have stunning impact. 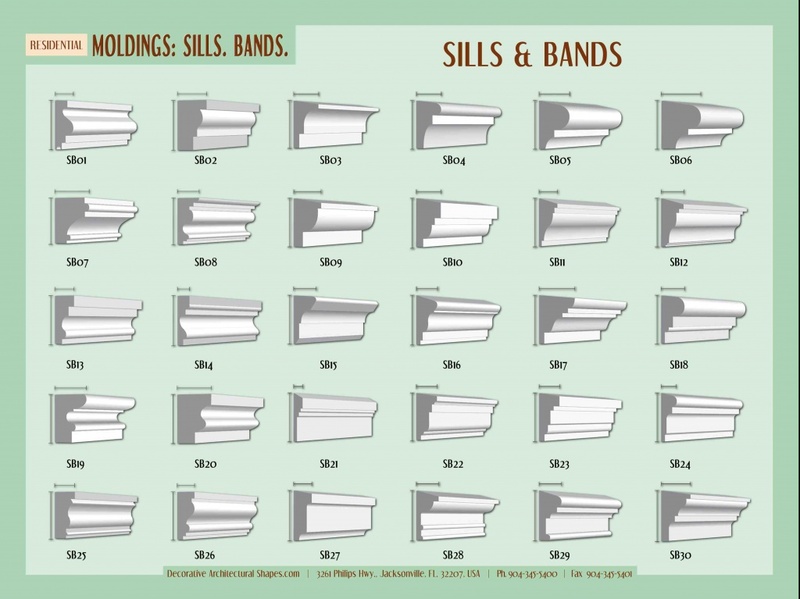 Decorative Architectural Shapes presents wide range of trims, that can absolutely transform your project. 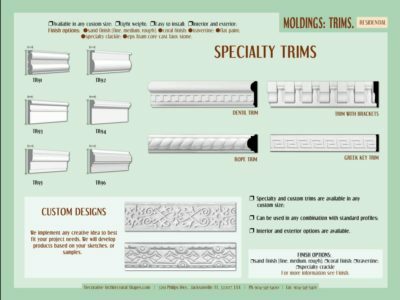 These high-quality architectural trims will empower you to finish each room and hallway of your hotel, apartment complex, or residence exactly the way you envisioned it. 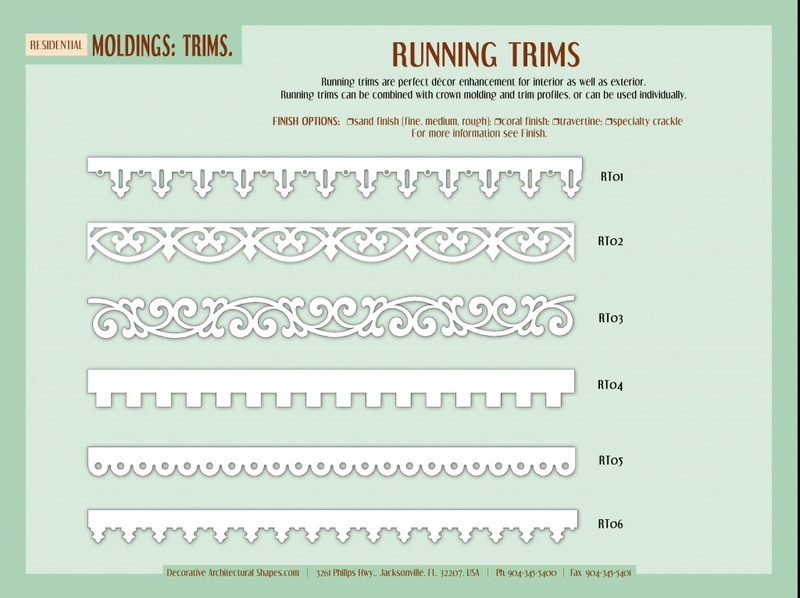 Decorative Architectural Shapes Trims can turn a humdrum space into a showplace. Without knocking down walls, adding skylights, enlarging windows, or doing any other time-intensive, cost-prohibitive renovations, simply adding interior mouldings can dramatically improve a single room or an entire home. Decorators and designers are only limited by their imaginations; if they use Decorative Architectural Shapes as their resource, they certainly won’t be limited by inventory. Decorative Architectural Shapes produces a Polystyrene brick molding. This is a type of plastic molding, will not rot and will hold paint much better than the wood counter part. 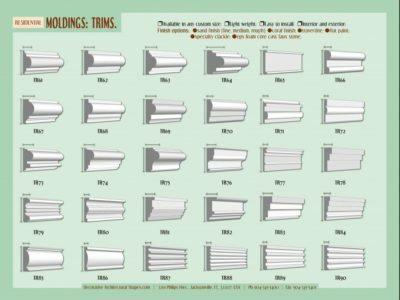 With our huge stock of unique, highly varied moldings Decorative Architectural Shapes is the perfect resource for even your most creative projects. Order the Decorative Architectural Shapes moldings in a shade of white and attach it to a charcoal gray wall. Suddenly, a bare, white corner becomes an inviting and very stylish oasis. 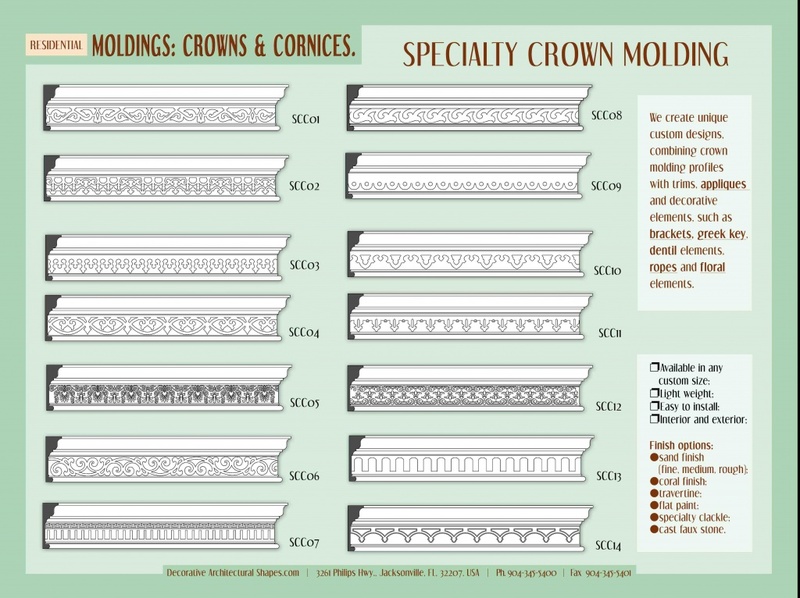 For another stylish moulding idea, rethink size. Trim becomes playful when proportions are unusual and dimensions surprising; large, intricate mouldings can look incredibly charming in small, intimate spaces, such as bathrooms or even hallways. 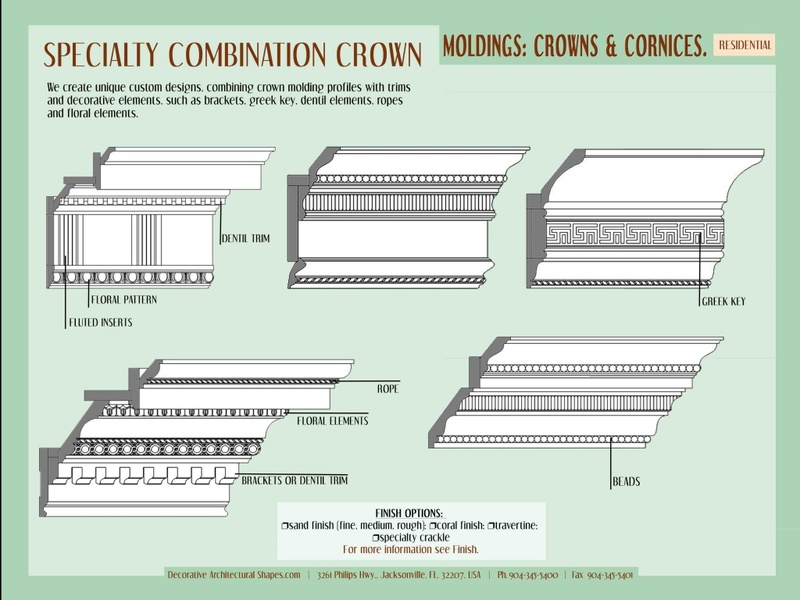 When used creatively, architectural mouldings can have stunning impact. 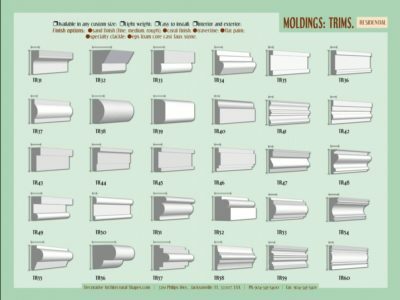 Decorative Architectural Shapes presents wide range of moldings, that can absolutely transform your project. 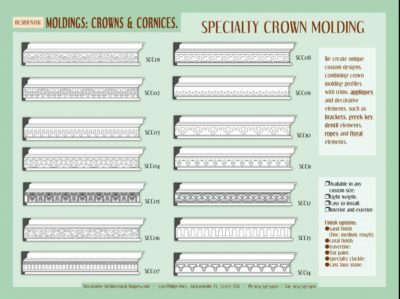 These high-quality architectural moldings will empower you to finish each room and hallway of your hotel, apartment complex, or residence exactly the way you envisioned it.